DayLight Scripture – All of you who were baptized into Christ have clothed yourselves with Christ. There is neither Jew nor Greek; there is neither slave nor free; nor is there male and female, for you are all one in Christ Jesus. 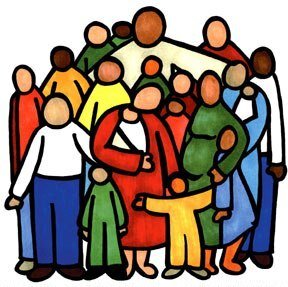 DayLight Prayer – Lord, Today my prayer is for all church families near and far. I pray that we consider that we are made one when we place our faith in Jesus, and when we are baptized. Being in God’s family means that we look at each other as brothers and sisters, and that we treat each other with love and consideration. Help us to leave our judgments where they belong, Lord…with you. We each have opinions, ideas and desires, but first help us to seek the way of Jesus in all of our churches. Amen.